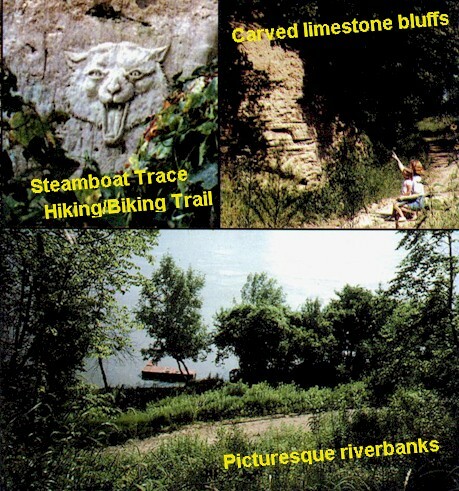 Steamboat Trace Hiking-Biking Trail is a rail-banked Burlington-Northern line which was purchased by the National Rails-to-Trails Conservancy. At Peru, Nebraska: Enter Peru from Highway 67 and proceed north through town on Park Avenue which turns into 5th Street. Trailhead is located at the far north end of 5th Street. 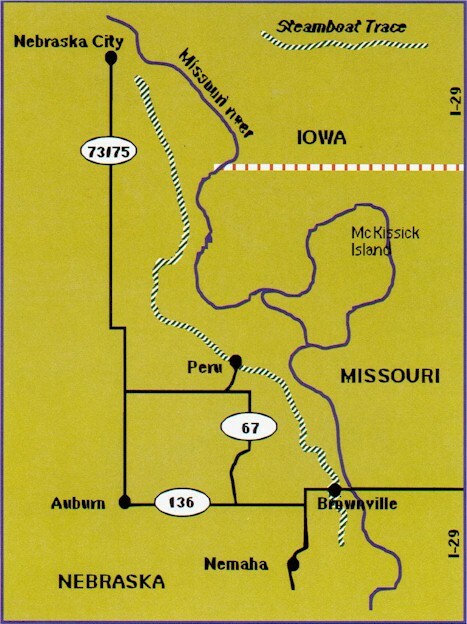 At Brownville, Nebraska: from Highway 136, turn south just west of the Missouri River bridge and proceed to Brownville State Recreation Area on the Missouri River. Look for sign on north side of Recreation Area entrance drive. Whether you're planning a weekend getaway or a week-long vacation on the Lewis and Clark Trail, LewisandClarkTrail.com is your online connection for hotel reservations.